Deep in the heart of the Arctic stood a seemingly infinite forest. Snow blanketed the land and the harsh cold froze just about anything it could get its icy grip on. Despite the unforgiving climate, a pack of arctic wolves roamed in areas untouched by man. A canine hunting unit had been dispatched to take down a few reindeer that strayed from their herd. The kills were effortless, as they should be since they were led by none other than the alpha male. He was the biggest of the lot. His broad shoulders met with a considerably sized head which held his huge fangs. His golden eyes were complimented by his pure white coat. If he were to blink in a snowstorm, he’d disappear. 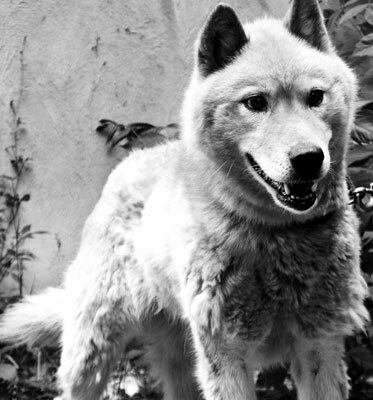 The great wolf had led his pack for many years now and had a well-respected reign. However, even this great beast could not escape the inevitability of age. The skin around his eyes had grown droopy just as his jowls began to sag. His mate had reared many litters of healthy pups who at this rate were mature enough to lead packs of their own. The alpha knew his time was coming to an end, but he would not let it. He was not ready. The reindeer carcass had been nearly picked clean when a sheepish cry came from within the frozen foliage. A calf had been watching the feast in pure horror, and now it had caught the attention of the hunters. Betas began to growl at the baby and drew closer. The alpha wolf stood in front and gestured that this was his kill. He turned back towards the calf and darted in its direction. The calf let out a terrified squeal as it ran for its life. The thrill of the hunt was what kept the great leader going. He inched closer and closer to his prey, adrenaline coursing through his body. Mere seconds away from the final move, the old wolf’s legs gave out on him. He was sent tumbling through the powdery snow gaining speed as he flew. He was sent straight into a dead rose bush. The icy thorns pierced through his thick coat; his eyes caught a glimpse of the calf running out of sight. Alone the wolf would not be able to free himself from the thorn’s grasp. He reluctantly howled for his team. Before he could finish the call, members were already at the scene. The injured wolf wondered if they had been following him all along, unsure of his solo abilities. He shook this idea from his mind. Of course, they weren’t, he thought. They all knew he was a skilled hunter, this is all just a fluke. He refused to wonder if his old age had caused the accident. The last branch was removed from the alpha male allowing him to release himself from his wooden prison. Bits of fur and flesh hung tight to the razor-sharp daggers of the bush. The battered wolf’s coat was stained with deep red blood. He glanced at his team and motioned for them to head back home. They did so without hesitation. They all knew that this was not the time to be questioning their leader’s abilities. The alpha followed behind as best as he could with his new limp. Bloodied paw prints followed their trail. The team was just a few minutes from being reunited with the rest of their pack when something mysterious caught the eye of the wounded canine. Two sapphire eyes pierced through the thicket of trees staring directly at him. The alpha’s ears flung up to attention and his nose began its work. Strangely enough, the unknown beast was silent and gave off no distinguishing scent. The wolf’s eyes squinted to attempt to make out the figure. Clearly another wolf, almost a mirror image of himself. Instead of white fur, however, the beast was adorned with black fur. Its coat reminded him of a starless night sky. The black wolf stood unmoving in a strong and powerful stance. It looked almost as if the new wolf was challenging the venerable leader. The alpha puffed his own chest out to signal to it that he was not about to submit. Though the alpha knew he was not at his strongest, a confidence surged through his veins as he was overtaken by a wave of viciousness. He looked back to his pack who was already settled in back at home. He saw mothers grooming their puppies and some of his own sons play-fighting with each other. He spun himself around to face his challenger and without a sound lunged directly at him. Another chase ensued. Trees and shrubbery whizzed by the white wolf as he pursued his opponent. They raced through the frostbitten forest. They leaped over iced-over streams dodged between fallen branches. The taste of the cold air burning his throat. No matter how hard he ran, he could not seem to catch up to the black wolf. His joints began to ache, and his wounds bled harder, yet he pushed himself as hard as he could to land a blow on the challenger. The duo approached a steep decline in the terrain. The black wolf stopped dead in its tracks. This was the alpha’s chance to strike. He reared his fangs and let out a ferocious roar as he soared through the air towards the beast. Nothing could have prepared him for what happened next. The once great leader passed right through the large black wolf. He was flung over the edge of the cliff. He was knocked unconscious from the fall. He was woken by the sensation of his wounds being licked. He tried to lift his head, but the pain was too great. His eyes looked over to see the black creature cleaning his injuries. His blue eyes slowly blinking with each stroke. He wasn’t real, this the alpha now knew. His age and paranoia had gotten the better of him. His life replayed in his fading mind and gave him peace of mind. He had lived his life well and had been a strong and powerful leader. He was no longer afraid of what was to come. He was ready. He struggled to get to his feet as flurries began to fall, tickling his nose. He took a long look at his former opponent and followed him, disappearing into the snow.